How to Boost Profits using your Supply Chain. 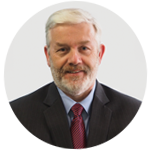 Rob O’Byrne explains why understanding your Supply Chain cost to serve is so essential. And how up to 10% of your products and customers might be loss makers, without you even realising. If you need even more, just use the Categories on the right hand side or the search box top right. Or by all means contact me directly to talk about how to apply cost to serve techniques in your business. Maybe you’ve already tried it? And got some great results? Feel free to comment below.